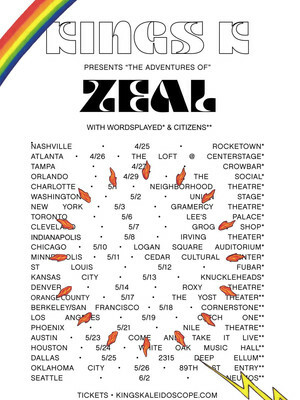 Seattle-based Praise & Worship alt rockers Kings Kaleidoscope are gearing up for the release and tour of their fourth studio album Zeal and their pulling no punches when bringing its anthemic call-to-arms to the stage. Described as a direct challenge to the apathy floating around the post-christian movement, Zeal is their most ambitious and euphoric release yet. 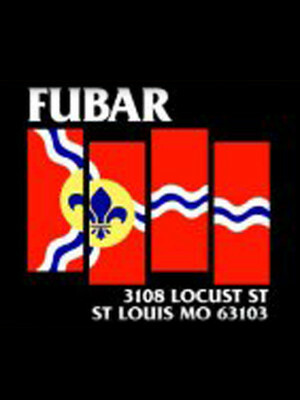 Please note: The term Fubar as well as all associated graphics, logos, and/or other trademarks, tradenames or copyrights are the property of the Fubar and are used herein for factual descriptive purposes only. 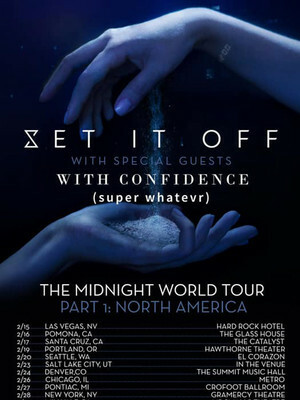 We are in no way associated with or authorized by the Fubar and neither that entity nor any of its affiliates have licensed or endorsed us to sell tickets, goods and or services in conjunction with their events.